When You Shop Small, You Support A Dream, In This Case, My Dream - I Could Not Be More Grateful & Honored For You to Choose to Represent Morgan Hunter Designs When You Wear One Of Our Amazing Pieces - We Are Humbled By Our Customers & Their Happiness Is The Greatest Gift! 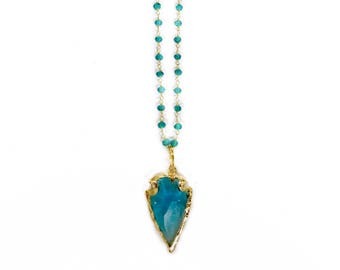 #3 - Our Sparkling & Magnificent Druzy Stones Are Hand Picked, and Hand Cut in Brazil Where They are Then After Electroplated in A Very Thick Coating of 24k Gold or Sterling Silver. #4 - There Is Absolutely Nothing Synthetic About Any Materials Used & I Have Yet to Find Better Quality Stones Than What I Use In My Designs - They're Simply Unparalleled. You Can Buy Morgan Hunter Jewelry with CONFIDENCE that you are wearing a quality product that makes you feel beautiful & complete each time you wear it! FREE Standard Shipping on all domestic orders over $50.00! Use code SHIP50 at checkout. Looking for more Morgan Hunter Designs? 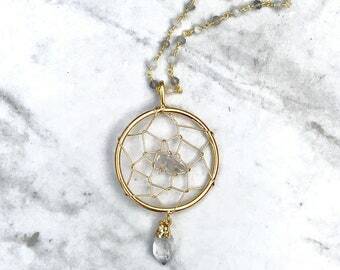 ○ "Like" us on Facebook and Follow us on Instagram & Pinterest for giveaways, coupon codes, and previews of our new jewels! Use #morganhunterdesigns to share your gorgeous jewelry pics and get featured! Exactly what I have been looking for for several years now to replace my old favorite necklace, this is PERFECT! Thank you! Beautiful earring, great quality, and fast turnaround time. Thank you and Merry Christmas! Very sturdy chain and beautiful! Thank you for taking the time to read about Morgan Hunter Designs! Every delicate piece of jewelry is designed and hand-crafted by myself, Morgan Hunter! Our emphasis is on creating a simple, unique product that is going to make her wearer feel beautiful & complete each time she puts it on! Designs are meant to seamlessly fit in with your everyday looks, at the same time, making a statement of elegance. Materials used are of the upmost highest quality - this is very important to us! We want you to enjoy your piece for a very long time which is why we put in the effort to find the best materials and techniques for longevity.